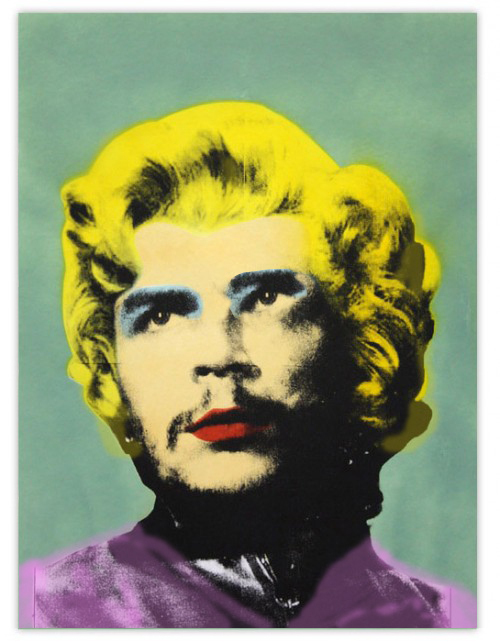 The Communist love of death is quite strong – almost as strong as the Islamist death-lovers. From Paul Bogdanor comes just a few reminders, and there’s really so much more at the link. China Two Millions [PDF] Human Rights in Mainland China [PDF] Uncounted Millions: Mass Death in Mao’s China Scholars Continue to Reveal Mao’s Monstrosities The communists slaughtered many tens of millions in China through massacre, slavery and famine. 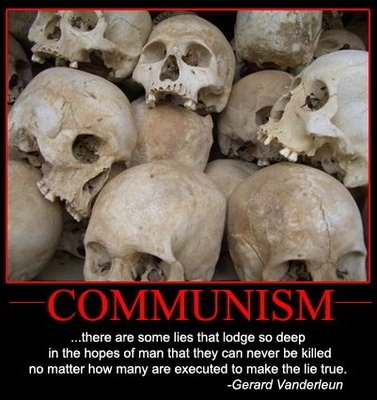 Jasper Becker, Ex-NPC Chief Admits Maoism Killed Millions Vaclav Smil, China’s Great Famine: 40 Years Later [PDF] Frank Dikötter, Mao’s Great Leap to Famine How the communists created the greatest man-made catastrophe in the history of the world. Mongolia Mass Buddhist Grave Reported in Mongolia The communist slaughter in Mongolia. Vietnam – Pre-1975 Lam Thanh Liem, Ho Chi Minh’s Land Reform: Mistake or Crime? 50 Years On, Vietnamese Remember Land Reform Terror The bloodbath inflicted during the North Vietnamese land reform was effectively whitewashed by far-left activists in the West, but the victims were not so quick to forget. The Blood-Red Hands of Ho Chi Minh Stomach-churning accounts of communist mass murder during the Vietnam War. The Massacre of Hue In this communist massacre, thousands of men, women and children were slaughtered. Stephen T. Hosmer, Viet Cong Repression and its Implications For the Future [PDF] Detailed analysis of Viet Cong mass murder campaigns. The Human Cost of Communism in Vietnam [PDF] Compilation of research and newspaper reports on communist terror in Vietnam. Post-1975 Le Thi Anh, Let the Vietnamese Speak For Themselves[PDF] M. Stanton Evans,Westerners Ignore Vietnam Gulag [PDF] Ginetta Sagan, Vietnam’s Postwar Hell [PDF] Concentration camps and mass murder in post-1975 Vietnam. Declaration of Disinherited Vietnamese on Human Rights [PDF] Testament of Patriotic Prisoners in Vietnam [PDF] Victims of state terror beg the outside world for help. Nguyen Cong Hoan, Human Rights in Vietnam I [PDF] II [PDF] Nguyen Cong Hoan, Why I Escaped From Vietnam Defector’s account of totalitarian slavery in post-1975 Vietnam. Laos 40,000 Reported Held in Harsh Laos Camps [PDF] Tens of thousands of political prisoners were sent to die in concentration camps. 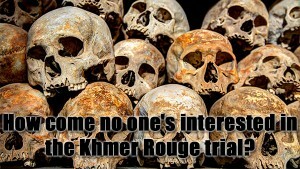 The End of the Hmong Lao Human Rights Council, White Paper on Genocide in Laos The Vietnamese and Laotian communists waged a genocidal war against Hmong tribespeople. Cambodia – Civil War The Agony of Phnom Penh [PDF] Khmer Rouge’s Bloody War on Trapped Villagers [PDF] “I Watched Them Saw Him 3 Days” [PDF] Priest Won’t Leave Refugees Despite Khmer Rouge Threat [PDF] The savagery of the Khmer Rouge was easily discoverable before 1975. President Ford, News Conference on Cambodia [PDF] President Ford warns of “an unbelievable horror story” if the communists capture Cambodia. Fear of Cambodian Bloodbath Seen Key to Senate Vote on Aid [PDF] More bloodbath predictions; anti-war leftists in Congress successfully cut off the aid shortly afterwards. John D. Lofton, On Genocide in Cambodia The refusal of the aid opponents to take responsibility for the expected consequences of their actions. Killing Fields Yin Savannary, Diary From Darkness [PDF] Asian Blood Bath [PDF] Cambodia: Work Hard or Die Cambodia – An Outlaw Nation [PDF] Early reports from survivors and journalists. Leo Cherne, The Terror in Cambodia [PDF] Leo Cherne, Cambodia – Auschwitz of Asia [PDF] The chairman of the International Rescue Committee describes the mass murders. Craig Etcheson, The Number: Quantifying Crimes Against Humanity in Cambodia Bruce Sharp, Counting Hell Studies demonstrating that the death toll was in the millions. ← Hipster Che – I’m 2 sxy 4-my T-shirt! Yep, the ‘real’ background of the date kinda gives it a different twist doesn’t it… Thanks! My mother in law fled Vietnam and its govt with my wife as a 2 month old baby, any system that sends a young mother fleeing by sea in a rickety boat has to be by definition evil.